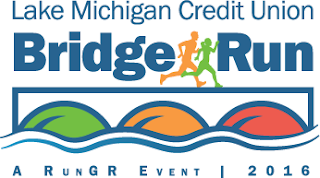 News from LMCU: LMCU Bridge Run – Sunday, September 18! LMCU Bridge Run – Sunday, September 18! Save the date and plan your training! We’re about four months out from the 2015 LMCU Bridge Run. So mark your calendar, get a workout buddy, and save $5 off your entry fee! Coming to downtown GR on Sunday, September 18, this event grows in size and stature every year. Choose your event from 10 mile and 5K runs, with divisions for adults, kids and 5K walkers. This engaging course finds its way through historic neighborhoods and across iconic bridges in central downtown GR. As a LMCU member, you’re entitled to a $5 discount on entry fees! Just head to thebridgerun.com to register, and enter MEMBER5 into the code box.